I'm writing this blog post for two main reasons. First one is to "immortalize" my thank you and Happy Birthday to Mika for treating us in Nomi. Second is, well, to share our experience to you! Craving for some burger? Well, Nomi may satisfy that craving! 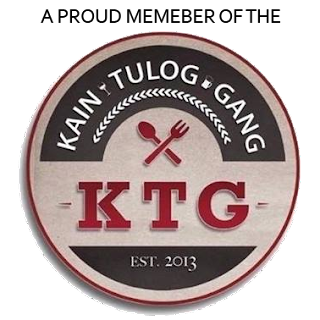 I've been studying in Taft for almost 4 years now, and this means that I already tried a lot of hot spots, restaurants and food places nearby. 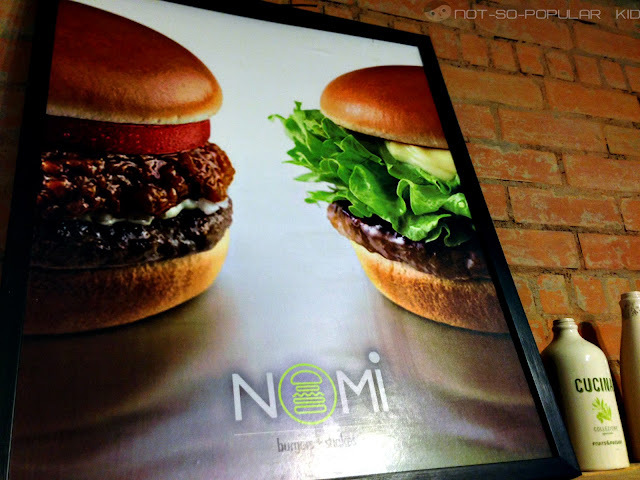 Now, I heard about NOMI burger when I was still a frosh, but if I can remember it accurately, we tried eating out in this place when we were sophomores. And before, Nomi was not located near Agno but instead near Enrique Razon Sports Complex (I honestly forgot the name of that place, but anyway it was now made into Green Court Parking where Chicboy and Starbucks are located). 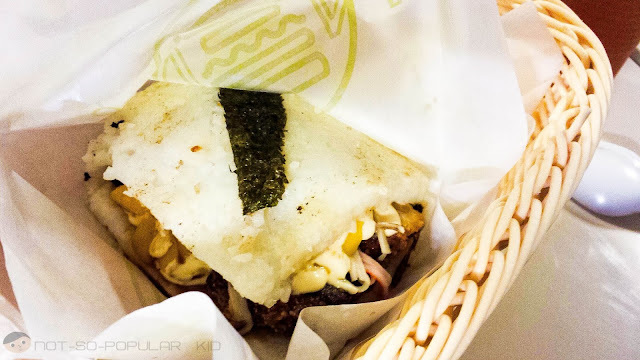 Today, Nomi Burger can be found near Agno or near Gokongwei Building a.k.a. Planet Gox. March 26, 2013 - This is our "last day" before the Holy Week Vacation started. 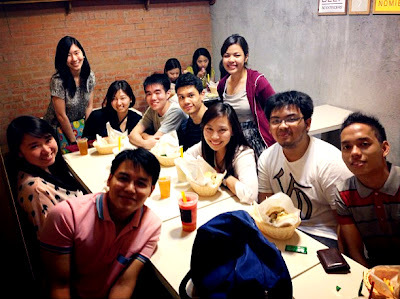 And also, this is the day when Mika, our block mate, decided to generously treat us, as an early birthday "pig-out"! Before anything else, it's just proper to have some coolers! 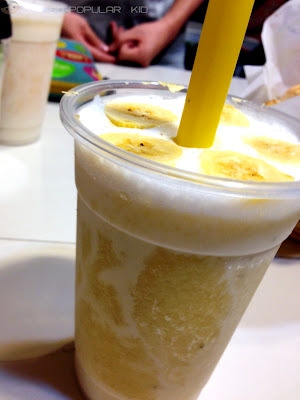 Other than burgers, Nomi is also famous for their creative and fun-tasting shakes and smoothies. These goodies ranges from P65-75 for regular size and P75-90 for large depending on the variety you choose. They have the Coco-Series, Aloe-Series and somewhere-in-between series. Although I wasn't the one who ordered this drink, I already tasted this long before. And it's good but a bit heavy. The taste of banana is distinct and it greatly fuses with the coconut milk. Now for me, this one was all great! 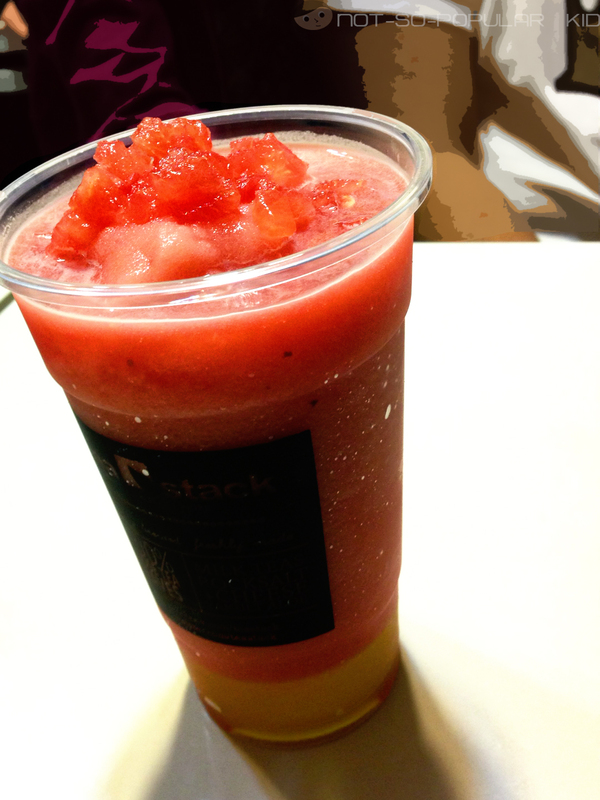 The taste of watermelon was so refreshing and effective in battling the summer heat! Plus, the aloe jelly at the bottom added some adventure as I took a sip! 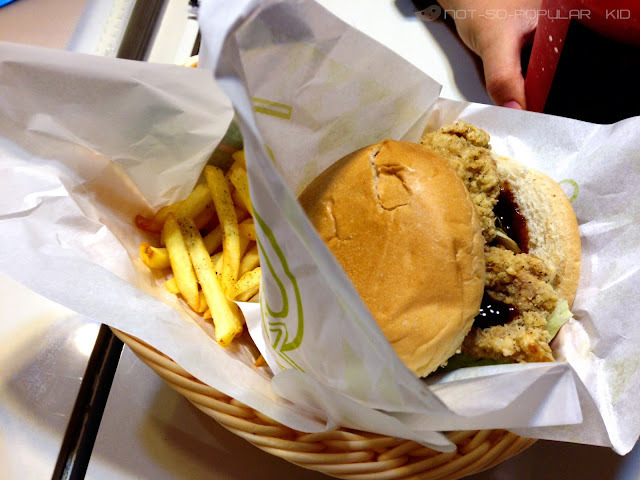 Note: Burgers range from P105-145 which already include 8oz of iced tea and a handful of fries. 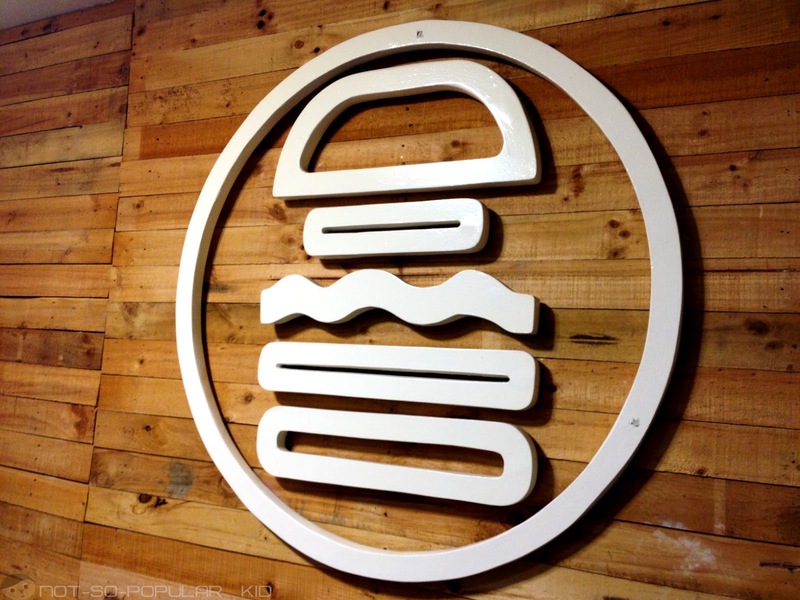 Most of the burgers in Taft are made of beef (e.g. Army Navy, BBB, Zark's, Burger King, etc). So, if you are already tired of the beefy taste, Nomi will be there to save the day! Plus, this Buffalo Chicken Burger is something Nomi is known for! What makes this special for me is the smokey BBQ sauce that comes along with it balanced with some taste of greens. Awesome dish! Because Keshia ordered Burger Steak, I decided to do the same. 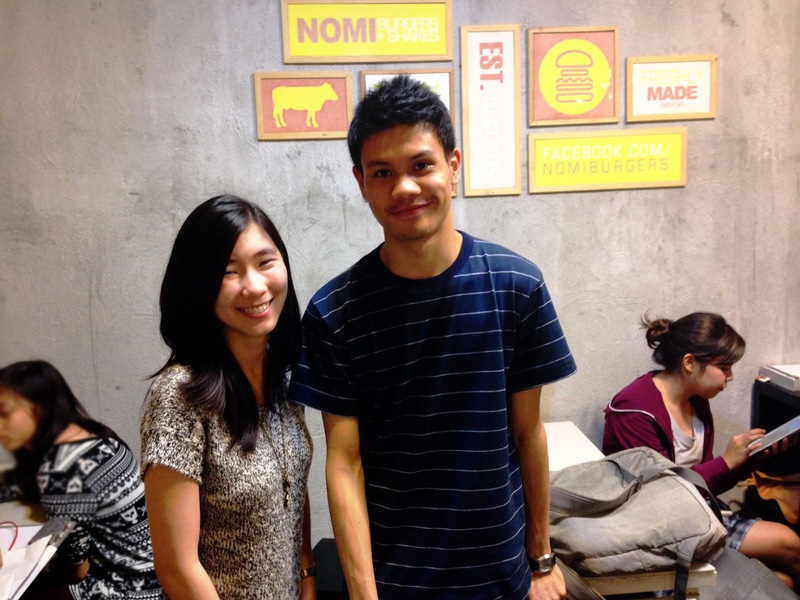 She heard that Nomi's Burger Steak tastes great as well, and so I wanted to confirm that one. Now the moment of truth. When, I took a bite, I slightly got disappointed because it was not the taste I had in mind. But after eating more and more of it, it tasted fine (not great, nor awesome). 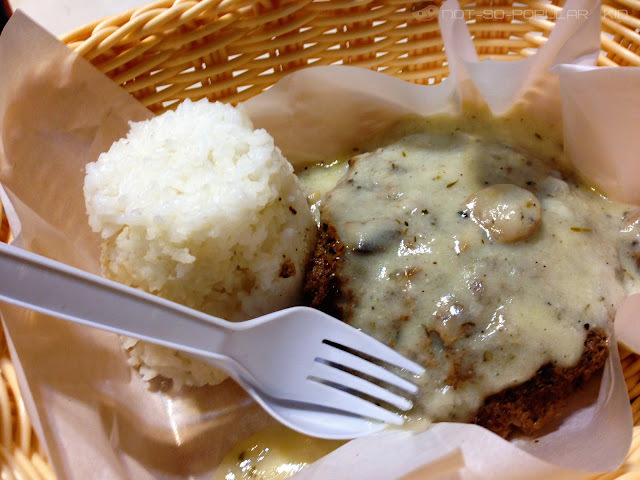 Frankly, I like the taste of Jollibee's burger steak better. I let my friends taste this dish as well, but their reaction was contrary to mine, claiming that they like the taste! Since we really don't know which is which, I'll let you decide! So, be sure to try this out on your next visit and tell me how it went. One of the most anticipated moments is when the blenders do the rock n roll. You may be annoyed by the noise, but you may eventually get used to it and learn to ignore it. Unfortunately, I still find it very distracting and annoying up until now. There you have it! And I hope you enjoyed this blog post! 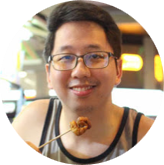 PS: This is my 100th blog post! Hooray! Also, thank you JD for making me use your phone to take photos and sending the photos. 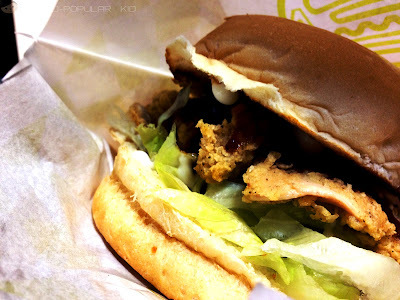 parang ang yummy nung buffalo chicken burger! There are a lot of great food around and nearby.